The Humanities: what are they worth to you, and to us? There is a spirited debate about the importance of educating our young people in the humanities —the study of history, culture, philosophy, language, religion and so on — when the job market is pushing for degrees in science, technology, engineering and math (STEM). It is at our own peril that we fail to recognize that support for the humanities and social sciences at all stages of education and in public life is vital to the prosperity of our country. How will we know where we are going if we don’t know where we have been? How do we hold on to our quality of life and our freedom to live as we choose while billions of others strive to get where we are? How will we maintain strong alliances and influence other nations if we don’t understand the cultures or perspectives of others? And what good is all of the science or technology or engineering or math in the world if we don’t have the imagination or understanding to guide us in applying in effectively? In their report, “The Heart of the Matter,” the Commission on Humanities and Social Sciences identified three major goals in advancing the humanities in America: educating Americans with the knowledge, skills, and understanding they will need to thrive in a rapidly changing world; fostering a society that is innovative, competitive, and strong; and equipping the nation for leadership in an interconnected world by using the humanities to nurture understanding of different cultures and sensitivity to different perspectives. We all need to do what we can to encourage our government, our educational institutions, and other elements of our communities to remain committed to the humanities for the good of our young people and our future. One reason I am grateful that I live in Nebraska is a quality of life that is enhanced through a flourishing series of partnerships involving the humanities. 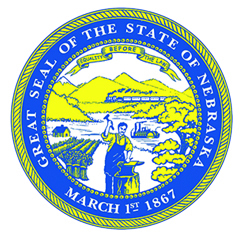 At all levels of government and across the political spectrum, I see strong appreciation for what Humanities Nebraska is doing in partnership with other entities all across the state. We work with libraries, schools, and community centers to bring families together to read books and discuss the themes and how they relate to their lives. We bring high school classes from across the state together to explore global issues and why they matter in Nebraska. We partner with many local community organizations and volunteers to explore important events of our past (and how they affect us today) through the eyes of historical figures. We are plugged in to an impressively vibrant network of cultural and educational institutions and activities reaching every corner of the state. In the past five years, 1,005 different entities booked a humanities speaker through our speakers bureau, and 178,000 Nebraskans attended those programs. That statistic alone shows how strong of an appreciation for the humanities exists here. That question is vital to our survival and our prosperity, and the humanities provide the tools to answer. “The Heart of the Matter” report can be found online at http://humanitiescommission.org/.